In a world of big pharma, corporate sponsorships and antibiotic resistance, it can be hard to stay dry from the ever-present rain of prescription drugs and pushy doctors. 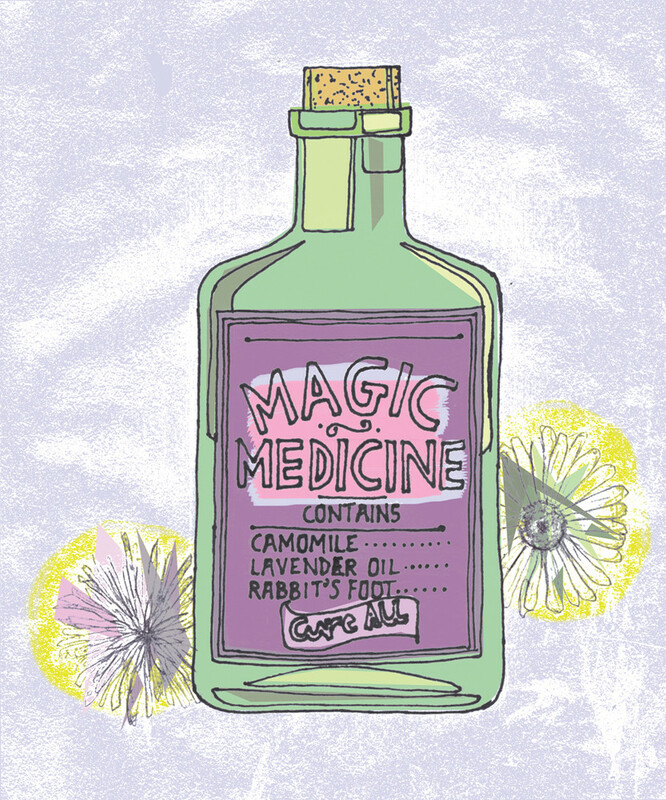 It seems like everyone has a disorder, and there’s always a wonder drug that promises to swoop in and save the day, so it can be hard not to jump into the welcoming, tender arms of homeopathy and other alternative holistic medicines for solace. However, it’s more apparent than ever that these practices are nothing more than organic, gluten-free snake oil. A staple of homeopathic solutions involves diluting the active ingredients in water until there are no traces of the original substance left, the idea being that the water will retain a memory of the remedy when it’s gone, and will therefore treat the illness. This and other tenets of homeopathy are, unsurprisingly, widely considered to be pseudoscience. But look no further than the first page of Google search results for plenty of testaments to the legitimacy of homeopathy and to the “cures like” form of remedies. What this really shows is a strong case for the placebo effect. Among a lengthy list of reputable homeopathic dissenters, Ted Kaptchuk, a professor at Harvard Medical School, conducted an experiment with 262 subjects, all adults with irritable bowel syndrome. In addition to a control group that received no treatment, Kaptchuk gave two other groups a placebo. One group received the placebo from a cold, reserved practitioner that didn’t talk much and was never friendly towards the patient. The other group was treated with the same placebo, but from a practitioner that was very friendly and “schmaltzy” as Kaptchuk put it, reassuring the patient that he knew what they were going through, and that this new form of treatment was exceptionally effective. Those with the special treatment unsurprisingly had the greatest relief from their ailment. Kaptchuk was among the first to discover a “dose-dependant response” to a placebo. This study showed that the environment surrounding the treatment played a big role in how the patient felt about their symptoms. This is the platform that homeopathy stands on; the system is truly the biggest testament to the placebo effect ever created. Ask anyone that sees a homeopath regularly to describe what a visit to their office looks like. Homeopaths create a place of emotional safety almost akin to a therapist’s office. This, along with the promise that that bottle of onion extract will get rid of your tendonitis, is what makes the industry so successful. So if placebo therapy is so effective, then what is the case against homeopathy? Other than the occasionally exorbitant costs for remedies that are often literally water, there are some urgent care diseases, genuine killers, that homeopathy attempts to cover. When a remedy is administered, the patient may feel better, but as their condition worsens, sometimes it’s too late for a cure. Tamara Lovett, a Calgary mother, is currently on trial for failing to provide the necessities of life to her seven-year-old son and for criminal negligence causing his death in 2013. When the boy caught strep throat, she refused to take him to a doctor and instead gave the child homeopathic remedies to help him feel better. The boy was bedridden for ten days and died in the hospital. It’s cases like these that make legitimizing homeopathy shady, to say the least. The emotional ease that the remedies might cause in the short term is harmless, but giving them a valid status in medicine can give some people the wrong idea. What Lovett did to her child was negligent, but with confirmation bias so easy to find when the homeopathy market is flooded the way it is, it can cause people to give too much credit to natural medicine. It’s clear that the theories behind these bottles of natural elixir are fabricated, but it wouldn’t be right to say that they don’t hold water.